A fire can be a harrowing experience and major inconvenience. Even the smallest issuecan cause major damage, as flames, smoke, heat, and the water used to put out flames later become odors, stains, and mold threats. Saving your home is our specialty. We are the Fire and Water Restoration Professionals you can count on when disaster big or small strikes in your home. We put our expertise and experience to work coupled with up to date technology and processes to ensure customer satisfaction you can trust with your home. 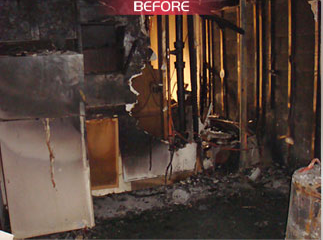 At USA Water & Fire Restoration, we have the expertise to deal with all aspects of fire damage. As soon as we are on the scene, we move quickly and efficiently to secure the site through our expert structural securement, board-up, and tarping to prevent further damage. We then work clear out the debris, soot, and water damage. 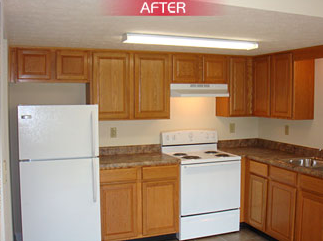 Afterwards, we initiate the construction and reconstruction work necessary to bring your home back to order. In each phase of our restoration process we take deliberate steps to restore your home to it’s original comfortable state. Experienced in all projects sizes, we provide expert fire restoration services for single family homes, apartment complexes, multi-family properties and townhomes, as well as retail and commercial properties. With over 30 years experience, USA Water & Fire Restoration is the only private company with a Lifetime Warranty and a 10% discount for seniors and the uninsured. Don’t hesitate to contact us today: 1 (800) 501-3046.